This is a competition. 1st place prize is a metal plate award. President of the jury: Giuseppe Acito (Toa Mata Band). Jury: Cavo Fest Staff, audience and followers. 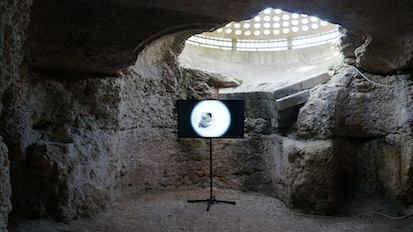 Cavo Fest (subterranean fest of electronic music, video art, digital art, photography and archaeology) is looking for video contents. Cavo Fest is held during the summer time in Trani (Italy) in an archaeological site in the countryside, usually one date per month (June, July, August, September). We've got 2 slots (led tv monitors 50 inches) per date where to show videos. We would love to receive short videos (max length 10 mins. *) that show mesmerizing and weird instruments, how they sound and how they have been built or assembled. *if you have already released a video that exceeds max. length of 10 mins, you can edit your video for a shorter version. Selected works will be shown during 3/4 dates of summer 2019 (T.B.C.). 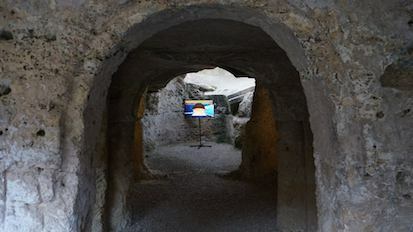 Cavo Fest site is a Hypogeum, adjacent to the subterranean concert hall, there is the first cavity that serves as foyer with 2 video monitor (50 inches) installed, here we'll show your videos during the festival dates, before and after the live musical performances.